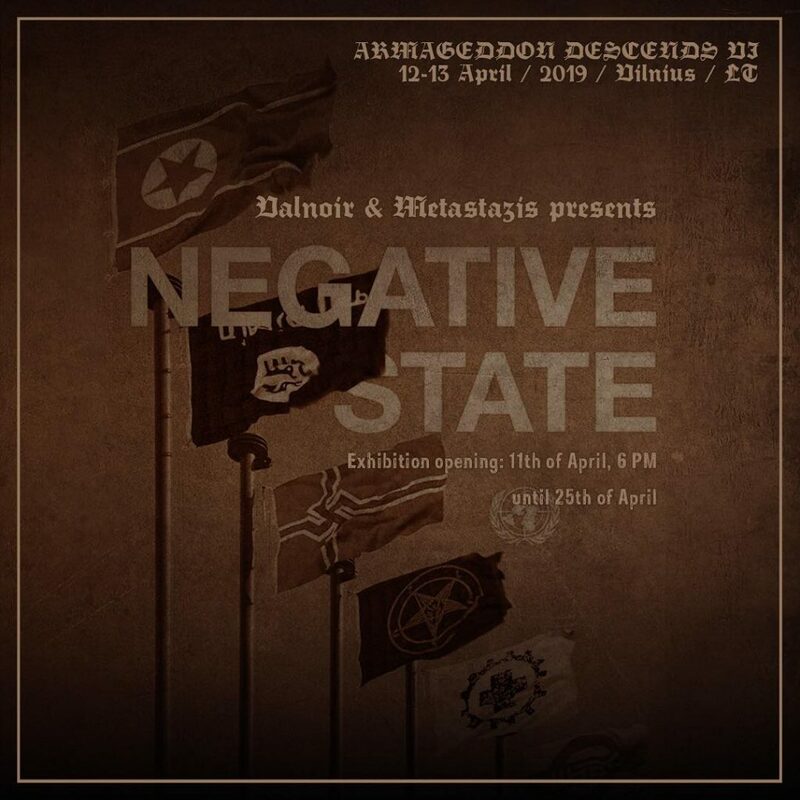 METASTAZIS design studio will hold its first Lithuanian solo show called “NEGATIVE STATE”, which will be opened on the 11th of April. In twenty years of existence, METASTAZIS has shaped the visual landscape of the extreme metal scene, consistently standing by its manifesto of no-compromise. 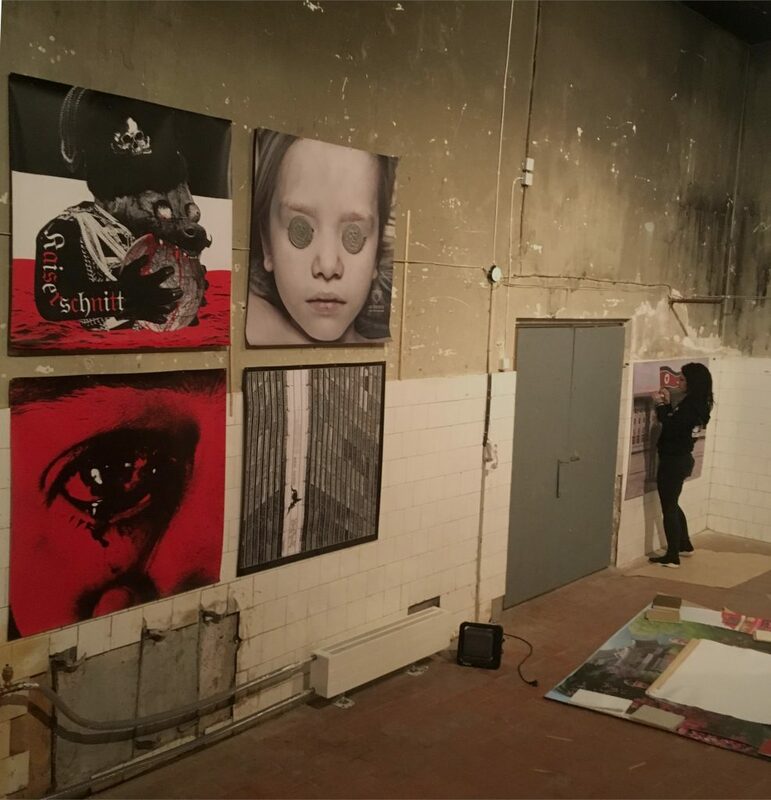 Works presented in the exhibition NEGATIVE STATE by Jean Emmanuel VALNOIR Simoulin, artistic director of METASTASIS, all share that common denominator – uncompromising attitude. 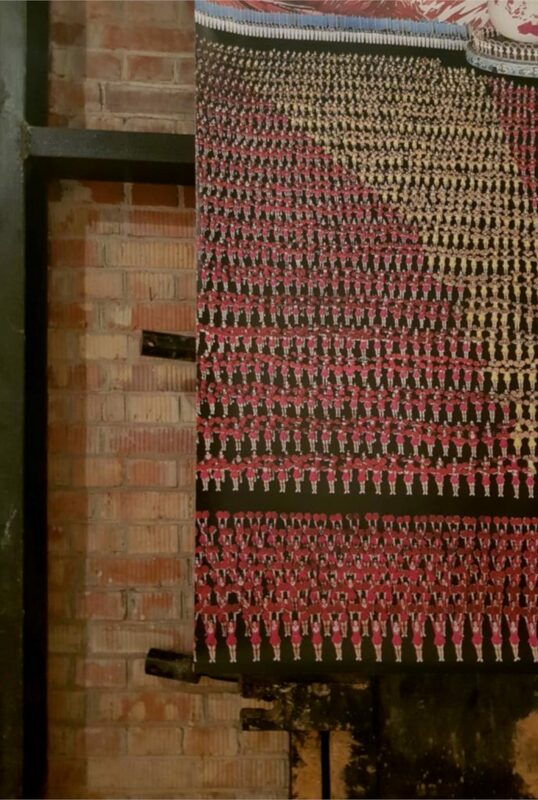 A poster for a black metal band, a flag proposal for a nation state, or visuals for a concert tour in a totalitarian country – any medium can be weaponised by the skilled hands of VALNOIR. Effortlessly juggling totalitarian emblems and insignia, sarcasm and grotesque, mysticism and gore, he has constructed a personal visual language which spares nothing and nobody. Exhibition opening: 11th of April, 6 PM, Crematory, Vilnius Academy of Arts, Maironio g. 6. Exhibition will be opened until 25th of April. Opening hours: 9 AM-5 PM, Monday-Friday. Exhibition will also be opened on the 13th of April (Saturday), 12 PM-4 PM. Also, after the exhibition opening, on April 11th 19:00, in the Gothic hall of Vilnius Academy of Arts we will screen a film “Liberation Day” (2016). The film depicts LAIBACH travel to and gig in North Korea, to which VALNOIR greatly contributed. 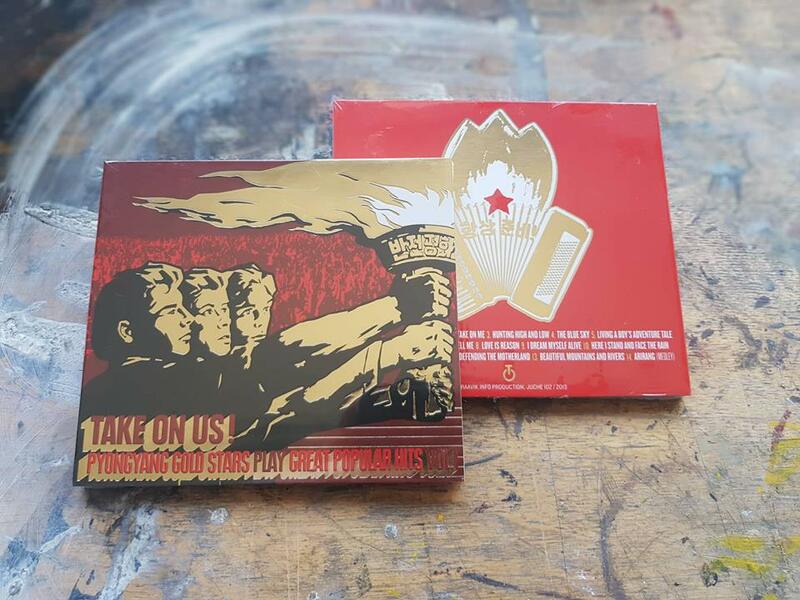 Moreover, at the opening of the exhibition we’ll give out a 100 of THE PYONGYANG GOLDSTARS – TAKE ON US CDs. THE PYONGYANG GOLDSTARS is a group consisting of Hum Song Music School students who, in collaboration with Liberation Day director Morten Traavik, performed and recorded a set of A-HA songs. The cover artwork is, without any doubt, crafted by Metastazis himself.